The scope of what Thomas Troward (1847-1916), a.k.a. Judge Troward has contributed to the subjects known generally by terms such as Metaphysics, New Thought, etc., is, for all practical purposes, beyond measure; not only in terms of what has been recorded and preserved to this day, but also in terms of the direction or directions in which those subjects have moved, as a result of said contribution. And this can be explained via the proposition that there is no limit to Thought, except whatsoever limits are set by the conceptions or beliefs of Man - whether individually or collectively. Put another way, if he cannot conceive or believe in a thing, Man does not think about that thing, except in virtually all instances to say (to the effect) "it cannot be". What shall follow from this point is an endeavor by this Author to highlight only a few of what may amount to be perhaps the most significant revelations which Thomas Troward discovered (albeit in his own way) in the course of his own pursuit of Truth, and, as stated before, has been preserved for those generations which came after his time on Earth. The intent at this point is merely to highlight these points, rather than to take any visitor, step-by-step, through any argument intended to convince them that these revelations have sufficient foundation for acceptance. Such an endeavor is best done by anyone aspiring to, so-to-say, "know the truth for themself, and not based upon someone else's account". In that respect, perhaps the single most significant revelation which can be credited to Thomas Troward - and one which, on careful elaboration, encompasses virtually all others - is an Understanding of many concepts to be found in the Bible, and the corresponding emancipation from the influence of "traditional" conceptions, which occurs as a result of gaining this new understanding. Briefly, there are many different ways to interpret the contents of the Bible, in much the same way as there exists many differing and varying off-shoots and branches of Christianity, and a prolonged debate could indeed take place regarding whose interpretation is right or true. This is perhaps of far more significance than might appear on the surface, because, to paraphrase an old maxim, "for each one of us, our beliefs constitute our realities". And that maxim is perhaps most true when it comes to the interpretation of the knowledge to be found in so-called "sacred literature" - whether it be the Bible or any other book. It was hinted previously in the discussion on The Bible, and is well worth repeating that, in times past, the only interpretation of sacred literature (again, irrespective of the particular school of religion) that was generally accepted was that which proceeded forth from the religious leadership, and the masses were generally encouraged (if not conditioned) to accept what was imparted without question. Fortunately, the time of dogmatism has effectively passed, although some might still hold to it - and, as far as this Author's point of view is concerned, that is a person's right, in much the same way as it is another's right to objectively question a particular interpretation of scripture. The interpretation of the proposition that Man is "... made in the image and likeness of GOD", refers specifically to the Mind of Man being an individualization or miniature reproduction of Universal Mind, and therefore, the thought or mental action of Man exercises an identical quality of Creative Power - refer to the discussion on Mind Power. 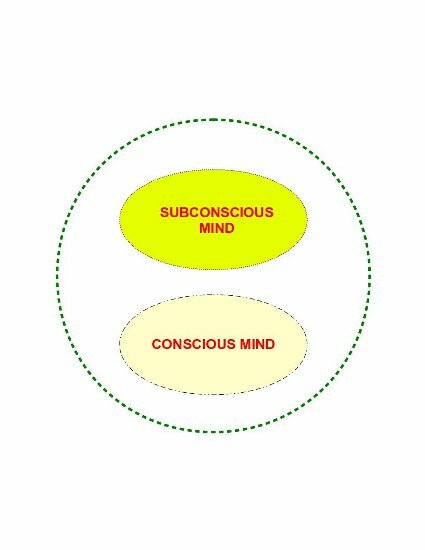 The exposition of the working of the Human Mind, based primarily upon philosophical reasoning, and which had been subsequently substantiated by numerous experiments in hypnosis - refer to the discussion on The Subconscious Mind. 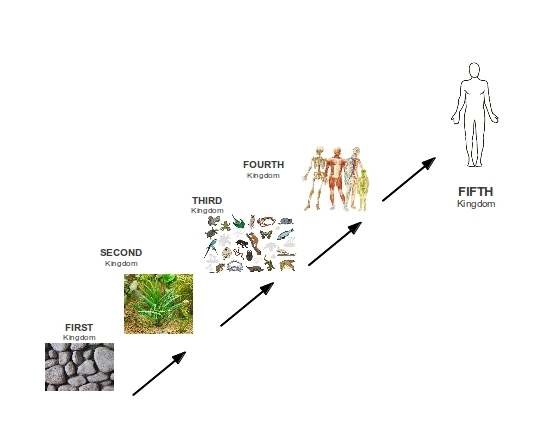 The postulation that the Evolution of Mankind (i.e., unfolding of the infinite quantum of possibilities within Man) is far from being complete at the present time, and that any and all further Evolution beyond our present position can only take place on a strictly individual basis - refer to the discussion on Outward Manifestation. 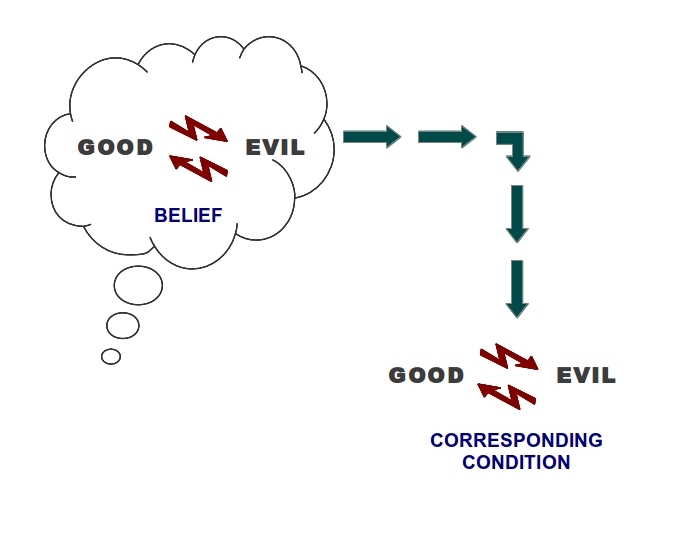 The proposition that what Man generally refers to as "Evil" is NOT something brought into being by some supposedly sentient and malevolent entity (commonly referred to as "the Devil"), but rather, is a perfectly natural outcome of the mis-directed use of Man's creative instrument of Thought - refer to the discussion on Good and Evil. There are actually many other such revelations, which may be credited to the work of Thomas Troward, but it is felt that, as an introduction to what he has contributed, the five specific items listed here will suffice, and those interested in discovering more may be guided to sources of further research and reference. Interestingly enough, and according to at least two commentators who apparently knew him well enough to make such statements, Thomas Troward appeared not to regard his particular viewpoints on these and other subjects as necessarily belonging to any or all of the schools of thought that were considered as popular or of interest in his day - such as (in no specific order): Christian Science, Mental Science (N.B., that term is generally no longer connected with metaphysics in our present time), New Thought, or Metaphysics. Among the biographical and/or semi-biographical records of his life and work which survive to this day, all indications are that Troward was generally content to regard his viewpoints simply as "Higher Thought", and this position was not necessarily established by himself, but by others who discovered and encountered his writings. Expressed another way, the understanding imparted by Thomas Troward's explanations and expositions on these and other subjects that may be said to have resonated with others, who in their own way might be considered "seekers after Truth", may explain why his writings spread to a wide audience, not only in his native England, but crossing the Atlantic to the United States, and even to other parts of the world. It is also reflected in the observation that his works are generally still highly regarded in the various circles of New Thought and Metaphysics which are in operation today. No doubt some discerning visitors will note that there is a consistent indication - not only in the contents of this page, but that may also be found in other discussions located on this web site - of some inter-connection between those tents generally held by the school known as New Thought and the teachings and instructions that may be found within the Bible. From a particular perspective, this may not be so surprising, as it is generally accepted (both in Troward's lifetime, as well as even now), that the Bible can aptly be considered "a storehouse of knowledge, and a guide to life" - but on the other hand, the accuracy of such a claim may well depend upon a person's understanding of what the book contains. In one of his (posthumous) writings, Thomas Troward intimates that certain revelations that he has discovered within the Bible, he has not found in any other religious or philosophical teaching, with which he claimed any acquaintance. Interestingly enough, the biographical records of his life indicate that Troward devoted much of his free time (i.e., away from his occupation) to the reading and study of the sacred literature of many religions, so that there may indeed be ample grounds for taking such a position. This is not at all to establish a fixed position that such revelations as Troward indicates are to be found in the teachings of the Bible are not at all located within the writings of other religions. Perhaps they may be there, merely awaiting their discovery - but an investigation of such a scale may amount to a topic by itself. As regards an inclination or desire on anyone's part to study and gain an apprehension of the writings and wisdom of Thomas Troward, this Author volunteers, based upon his own experience, that it is no more different than an endeavor to take up the study of almost any other author or writer of that time who dealt with the same subject matter. There is a particular opinion that may still be, so-to-say, in circulation, which, when all is said and done, amounts to a suggestion, that it is a difficult endeavor to read Troward's works - let alone study them. However, and again based on personal experience, this Author volunteers that, the likely way to comprehend the contents of Thomas Troward's writings seems to be to go through them slowly and (one might say) deliberately, with the aim of discovering the premises at the core of his postulations, and then carefully following his course of argument from said premises to his established position on the subject. "In his magic mind the unfathomable revealed its depths and the illimitable its boundaries; Metaphysics took on the simplicity of the ponderable, and Man himself occupied a new and more dignified place in the Cosmos. Not only did he perceive clearly, but he also possessed that quality of mind even more rare than deep and clear perception, that clarity of expression and exposition that can carry another and less-informed mind along with it, on the current of its understanding, to a logical and comprehended conclusion." It is such things as this which, in this Author's opinion, and possibly in that of others, which ultimately elevate the revelations to be found in Metaphysics, New Thought and other kindred subjects, from mere abstract and/or theoretical statements carrying little or no use in the so-called "real world", to the place and position of sound, credible, and more significantly, practical truths, which any and every person who appreciates and apprehends them, can put to legitimate use, in virtually any and every area of life with which they are concerned, and more significantly, via proper application of said truths, can and will realize desired results in their various endeavors. And for that, those who indeed appreciate and apprehend them, may consider themselves to be grateful.